Ever since this car came out, I have wanted one. I love the look of it, it is different from other cars, and it is economical to drive, and has a touch of class! Know what it is yet? It’s the Mini Cooper! That has been my dream car ever since they came to the US! Every time I see one, I say, “There goes my Mini Cooper!” Everyone hears me say it! Ethan now says, “There goes your Mini Cooper, Grandma!” I even have a small replica of a Mini Cooper that has been in my office for years just as a reminder of my goal! So, this last month, when we decided to start looking for a car for us, I started looking for a Mini. I checked on so many of them, and there was a lot! However, I now had some specifics that I needed to have on this little gem. I wanted an automatic, after having the bilateral knee replacement, because I don’t want to shift all the time. I also wanted air conditioning since I haven’t had that in a while, and the heat gets to me rather quickly. I also wanted cruise control because we are hoping to take some trips and that makes it so much easier. An extra blessing, would be a sun roof. So, those are the things I looked for, and hopefully, I would find one with lower mileage. So in my search, I finally found one. We worked back and forth for a couple of days because this mini was about 3.5 hours away from us. So with the appointment set, we went down to Olympia. We traveled down the night before so we didn’t have to be up so early to get there on time. The plan was to meet and see the Mini, and then follow-up with the sale if we made that decision. Saturday morning brings us to the parking lot meet up, and there she sits. All blue and ready to go! She is automatic, sun roof, air, cd player, and looks pretty great. BUT, she doesn’t have cruise control. Boo! We take her out for a drive and she is pretty snappy and nice to drive. I love how she corners, and drives and I am thinking, maybe I could do without cruise. But as the owner talks about the car, there are items of check that shouldn’t probably be something that this new of a car should have problems with. We get back to the parking lot and look the car over again. We talk about it while he goes to his other car. Terry says he thinks that the car isn’t in as good a shape as was presented originally. I’m thinking, looks pretty good, rides wonderfully, leather interior, and its a MINI!! Sure there a few little things, but its a used car. I ask what his concerns are and he tells me again of some of the concerns, and that it just doesn’t feel right. So I told him, after all the owner had done to make this possible, I just couldn’t be the one to tell him no. So, if he felt is wasn’t right, he needed to tell him. So, Terry gets out and gives him the news. He gets back in the car and apologizes (bless his heart), and says he knows how much I wanted a mini. It’s not that you may never get one, I just think it’s too much money for the car. I’m thinking…we didn’t even negotiate. But as I say that to myself, I hear in my spirit, “It doesn’t mean no or forever.” So I surrendered my dream to another time. One third of our way home, Terry suggests that maybe we go look at this car up in Lynden (area of Washington) that we saw there before. He wanted to see if it was still available. It was in great shape, lower mileage, auto, sunroof, air, cruise and it was a second choice if I wasn’t able to get a mini. I told him I would be open to that. 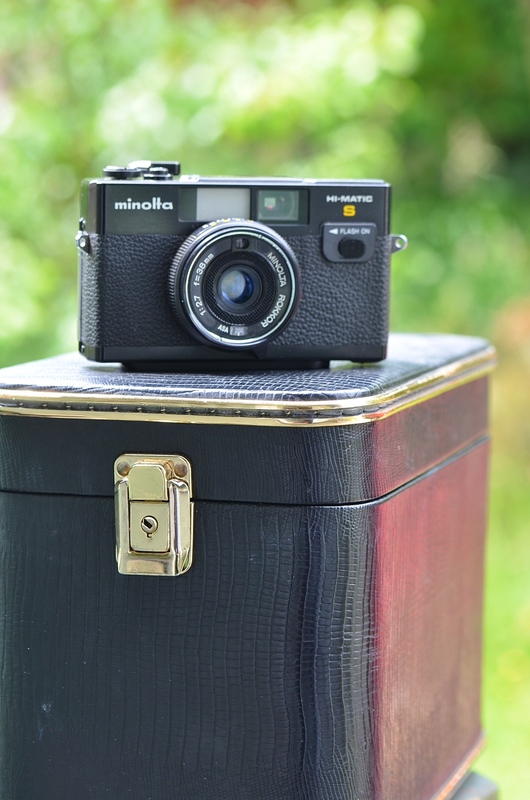 The price was also more along the lines of what we wanted to spend, rather than stretching ourselves with the purchase of the Mini. Did you notice that this little car has all the things I was looking for in a Mini? So, we went up and looked at it, took it for a ride, and he felt this was as he originally thought…a good buy. As my Mini went out with a puff of smoke, my little Lime Squeeze came home to live with me. She fits me well and I hope we have a long friendship together. God still heard my prayers about what I wanted in a car. The Lime Squeeze has all those amenities. I hope so, because I am sure you have had disappointments in your lives as well. I am here to say that when we stay in authority with whom God has put over us, in my case, my husband, then He will bless us more than we can imagine. I could choose my attitude about this whole circumstance. Am I going to be mad about it? I felt like it. But, God wouldn’t leave me alone about my attitude in this. Again I heard the echo, it doesn’t mean never, just later. What perspective was I going to choose? This applies to so many dreams and prayers in my life. God isn’t saying no, He is saying later. Or, He may be saying no for reasons we don’t know yet. However, I know God is faithful. I have seen His constant love in my life over and over again. Do I trust Him in this? Yes I do. It certainly kept us in line with all that He is doing in our lives. 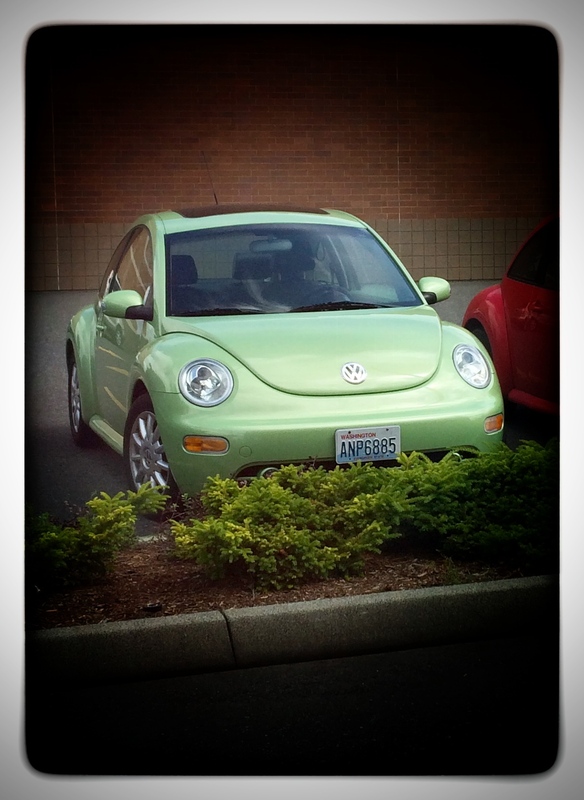 So my VW Beetle, I named Lime Squeeze, is now happily sitting at our house. The fun part? When I first went over to Idaho to meet Terry, I was driving a VW Beetle at the time. The weather was blizzard like and frozen snow. But, I felt I was supposed to go. So I drove over washboard roads at 25-35 miles an hour for about 60 miles to get to the airport. I wondered at times, if I should just turn back. But, I didn’t. I thought I was this far, my little car would take me the rest of the way. It did and the rest is history. It has some special meaning in our lives and I have decided to deck the Lime Squeeze out to the max! Well, at least how I want her to look. She and I will be covering lots of miles in the future together. I want her to be comfortable. She is my reminder that I don’t always get the things I want when I want them, but God will provide for me how He feels is best at the time. And the color? Yep…a reminder that I still have areas to GROW. Lime Squeeze is lime green. But you know what? I always want to be where God wants me to be and listen to those He has placed in my life. I will be thankful that I have this little gem to carry us around, make road trip memories in, but best of all, be in God’s will for our lives. God gave Terry counsel in staying closer to our budget so we can pay it off and Terry listened to that wise counsel! I’m thankful he did! Don’t give up on your dream. Remember His plans are not OUR plans, His timing is not our timing, and we can be in good attitude in the waiting!